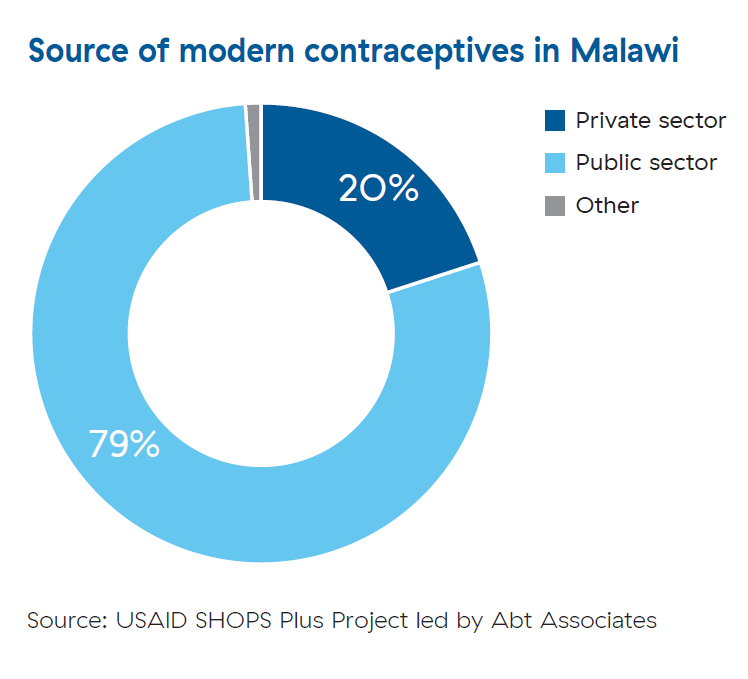 Among modern contraceptive users in Malawi, 20 percent obtain their method from the private sector and 79 percent obtain their method from the public sector. Understanding where women acquire their family planning methods is important to catalyze efforts to meet Malawi’s Family Planning 2020 commitments and Health Sector Strategic Plan II goals. In addition, Malawi’s Costed Implementation Plan for Family Planning (2016-2020) calls for a better understanding of the private sector’s role, and makes a commitment to create more opportunities for public-private partnerships to strengthen family planning service delivery. This brief presents a secondary analysis of the 2015–16 Demographic and Health Survey to describe where modern contraceptive users obtain their method and to highlight the contribution of the private sector to family planning.